Tickets are on sale for our annual fundraiser! Meet our 2019 Boston Marathon Runner, Mike DelConte! Hopkinton Little League is proud to announce that we will have an offical runner in the 2019 Boston Marathon, Mike DelConte from Medway, MA! I live in Medway, MA with my wife Amanda and 5 year olds twins, Anthony and Sloane. I work at the FW Webb Company as the Director of Sales. 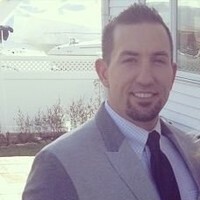 I graduated in 2002 from The University of Massachusetts, Amherst with a degree in Business Marketing and later went on to get my MBA in International Management & Marketing at UMASS, Boston (2009). My running career is relatively short so far. I have actually done a lot more triathlons than road races. My first organized road race that I ever ran was the NYC marathon in 2013, since then I’ve run two others. I ran the Newport, RI marathon in 2016 and the Burlington, VT Marathon in 2017. I’ve always enjoyed outdoor activities and sports. I like to ski, hike, run, bike, etc. I’ve played Rugby for 16 years including 4 at UMASS Amherst. The reason that I am doing this is that I played little league baseball growing up as a kid in Stoughton, MA. Playing baseball as a kid are some of my fondest memories. I think it is important to fundraise and give back to the community whenever possible. When I heard there was an opportunity to help out Hopkinton Little League and run the Boston Marathon, I said “sign me up” I’m in! CLICK THE YELLOW "MARATHON" BUTTON ON THE RIGHT SIDE OF THE PAGE TO MAKE A DONATION AND SUPPORT HLL! Note that the hotline will not be used this year. All cancellation notices will be sent from the website. 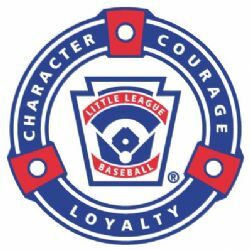 Reminder - anyone volunteering in any capacity for the upcoming 2016 season must fill out the Little League Volunteer Application. Go to the Coach's Corner for more information.